There are no prerequisites to opening your own contemporary art gallery. No license or degree required, no apprenticeship crucial. You just need the means to mount four walls and get some art to hang on them. Of course, a passion for art and a desire to work with new artists certainly helps. Take, for example, gallerist Barry Malin. A former surgeon, Malin opened Burning in Water in 2015. 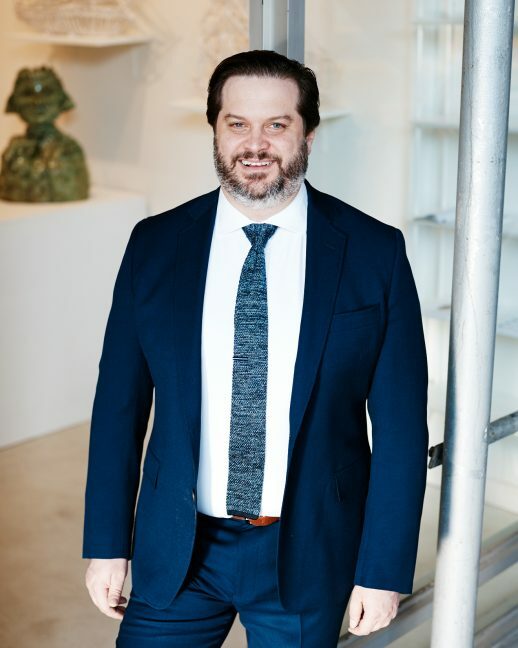 His Chelsea space highlights the work of living artists with reference to broader social issues and has collaborated with both non-profit and community-based organizations in the past. 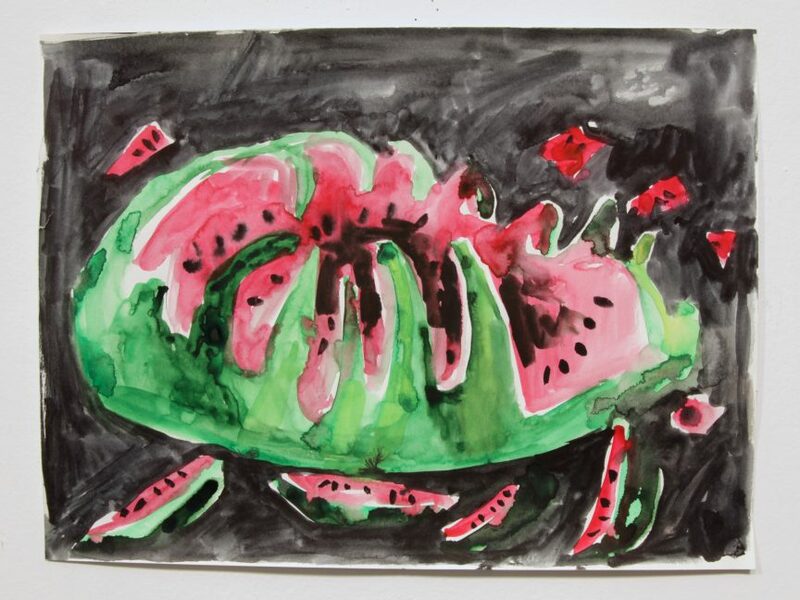 Malin spoke to us about watermelons, surgery, and (of course) art. What can we look forward to this winter at Burning in Water? 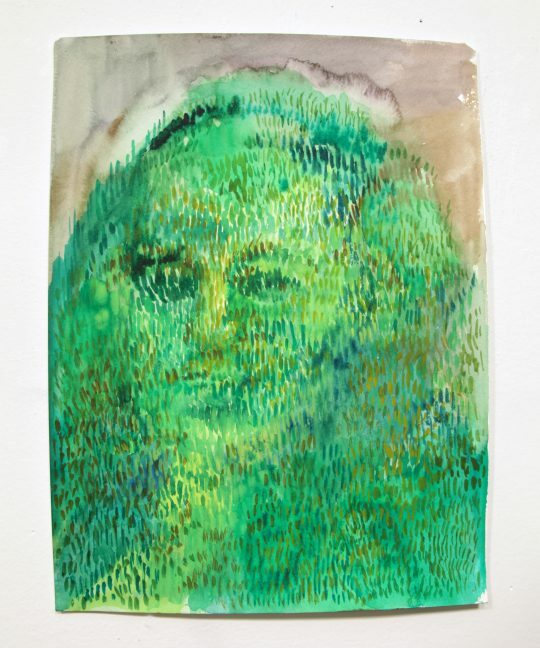 Valerie frequently addresses topics from American history, borrowing imagery from traditional, quintessentially American genres such as landscape, still life, colonial-era portraiture, and maritime paintings, but then re-imagines the subjects from her own singular perspective. 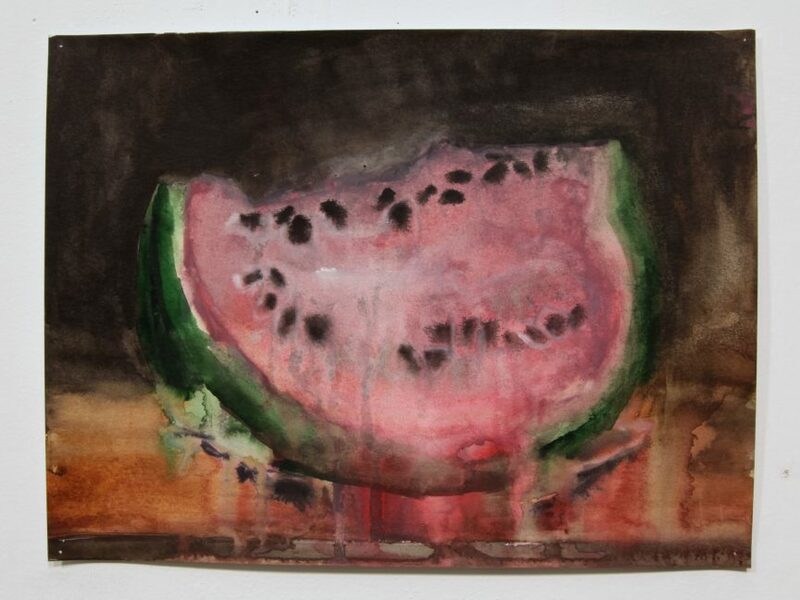 Our show features a series of recent watercolor paintings and four groups of ceramic sculptures. The suite of watercolors suggests a fevered, hallucinatory vision of America examined through the prism of its visual artistic traditions. Her fantastical ceramic works exemplify her anarchic, revisionist take on American history. 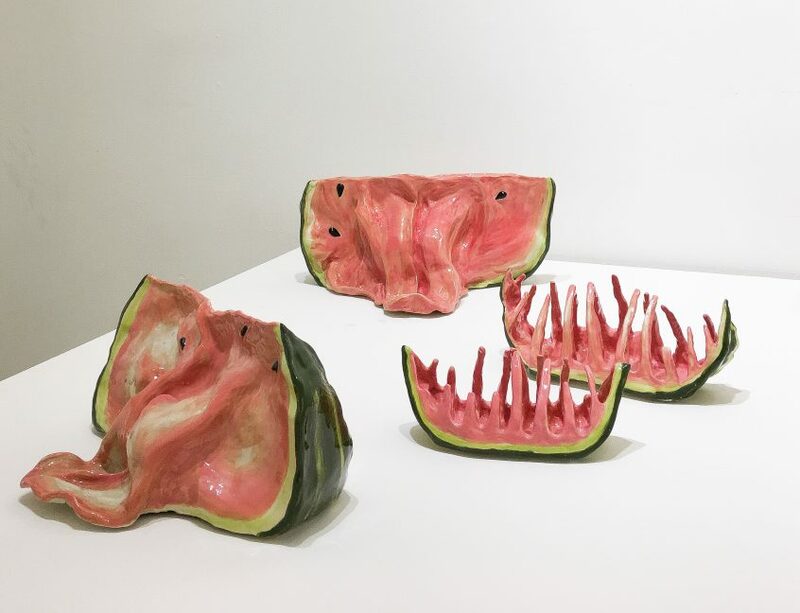 The include watermelons that become animated, explode, and then decay; sly depictions of George Washington as a series of topiaries; and an assortment of “fruit face” personae. The works are simultaneously macabre, funny and provocative. How did your career in medicine prepare you for the art world and what unique approach do you bring with your background? My background is in head and neck cancer surgery, and there are definitely some skills that I developed as a surgeon that have served me well in the art business: a high tolerance for risk, a willingness to make high-stakes decisions under conditions of considerable uncertainty, and an ambition to take on big challenges. However, it was the experience of taking care of patients dealing with grim prognoses and wrestling with the big questions associated with mortality that really deepened my affinity for art. I spent countless hours with patients and families facing end-of-life concerns, talking about their lives and how best to make use of time that had become a very scarce, precious resource. No matter how old they may be or what difficulties people have faced, people facing death almost always feel that time got away from them. Having the privilege of sharing these experiences with patients also gradually began to shift my perspective on my own life, which is really where the impulse to start the gallery originated for me. Art was also a source of comfort and sustenance for me during challenging times, and I think that fundamentally shaped some of own aesthetic preferences. I personally am less drawn to work that is too flippant or fashion-driven, and the gallery’s program reflects those preferences to a significant degree. 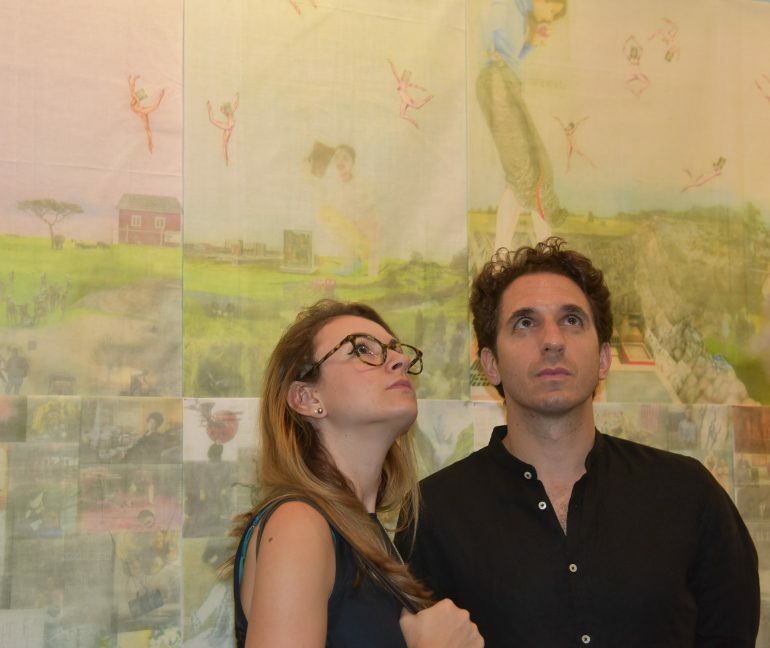 Why did you decide to open the gallery in Chelsea, and how is the neighborhood’s gallery scene evolving? Although the Chelsea gallery environment certainly has its detractors, the neighborhood does have the highest concentration of great contemporary art galleries in the world by a wide margin. I am visiting galleries in the area constantly, and there is never a shortage of worthwhile exhibitions to see. I also live in the neighborhood, so I feel very personally invested in the area. In terms of how the area is changing, it’s no secret that the environment has become less hospitable for small and medium-sized galleries. The pace of new development in the area seems to keep accelerating, which it makes it both an exciting and challenging time to plant your flag here as an innovative gallery space. Some of the new retail space coming to market is anticipated to be the most expensive commercial by square foot in the country, which favors luxury retail and residential usage. 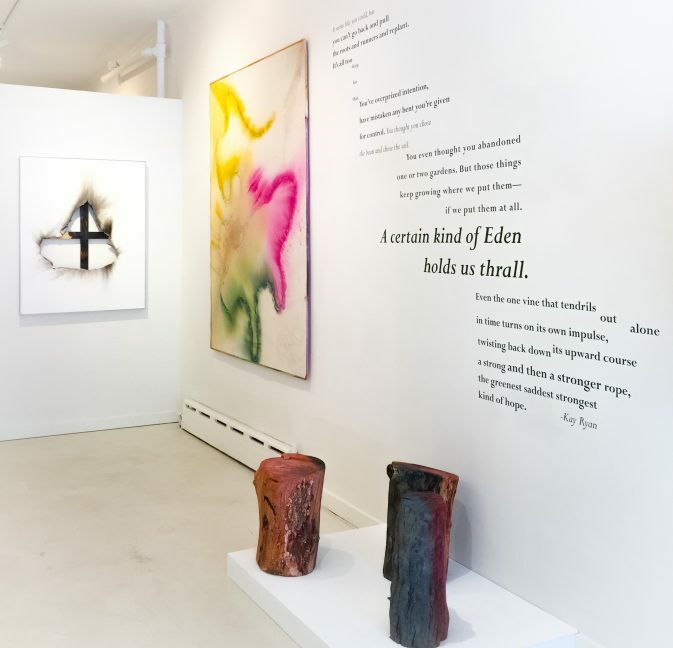 In terms of both scale and aesthetic sensibility, we share a lot of affinities with galleries that you would encounter in perhaps the Lower East Side or Brooklyn. So, we are running counter to some of the prevailing trends in the area, but that keeps it invigorating. Where are your favorite spots in the city to scope out new art and artists? A wonderful aspect of the New York art sphere is that there are opportunities to discover “new” artists in a wide range of settings — from small independent galleries to major museums. One of my favorite museums is The Studio Museum in Harlem, which has a storied history but also maintains its commitment to developing and exhibiting young artists through its Artist-in-Residence program and other public offerings. The New Museum is another great institutional venue that highlights both younger artists and less conventional work, and it is also doing pioneering work in preserving and showcasing digital and internet-based art. The greatest concentrations of spaces focussing on early-career artists are on the Lower East Side/Chinatown and in Brooklyn. I never miss a show at CANADA, an artist-owned gallery that has fostered major careers but maintains a fiercely independent spirit. I also really like Salon 94, whose recent show of painting by the aboriginal artist Warlimpirrnga Tjapaltjarri was one of the most compelling small galleries show that I have ever seen. Lyles & King is a relatively new gallery that has a dramatic physical space and consistently mounts compelling shows. In terms of established players, Jack Shainman Gallery consistently mounts strong shows highlighting contemporary work from geographic locales—particularly Africa—that are otherwise under-represented. Another favorite in Chelsea is Berry Campbell, which brings renewed attention to the work of Modernists who may have been overshadowed by their now-canonical peers. On the Upper East Side, I always visit Blum & Poe. Their New York location carries a lower-profile than its Los Angeles-based brethren (you have to go through another gallery and up multiple flights of stairs to reach their townhouse space), but the trip is always rewarding. Ceramics and contemporary Asian art are particular strong points.